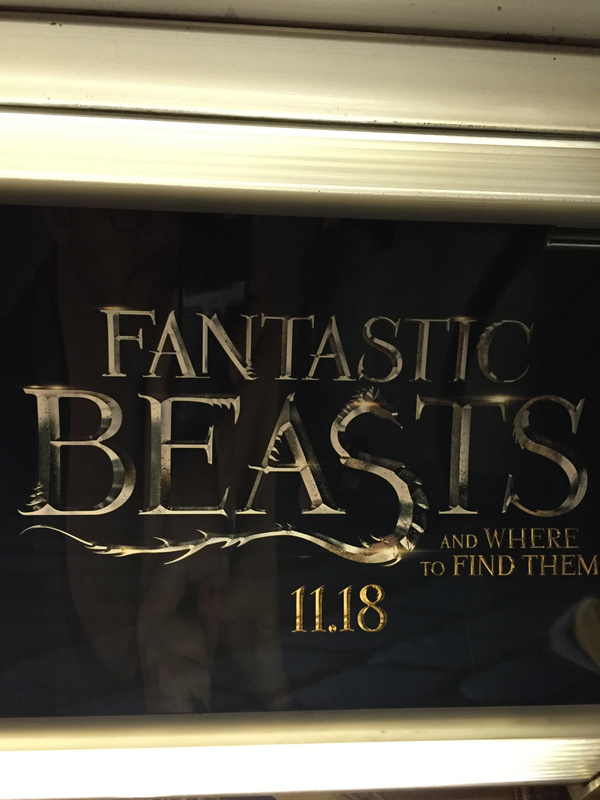 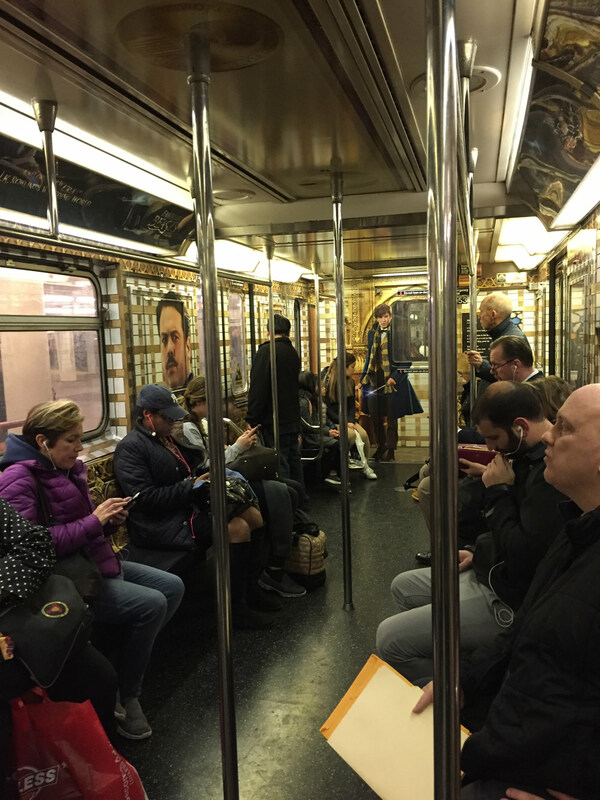 I rode a really cool subway car to Grand Central Terminal in NYC today that was completely taken over by Fantastic Beasts and Where to Find Them. 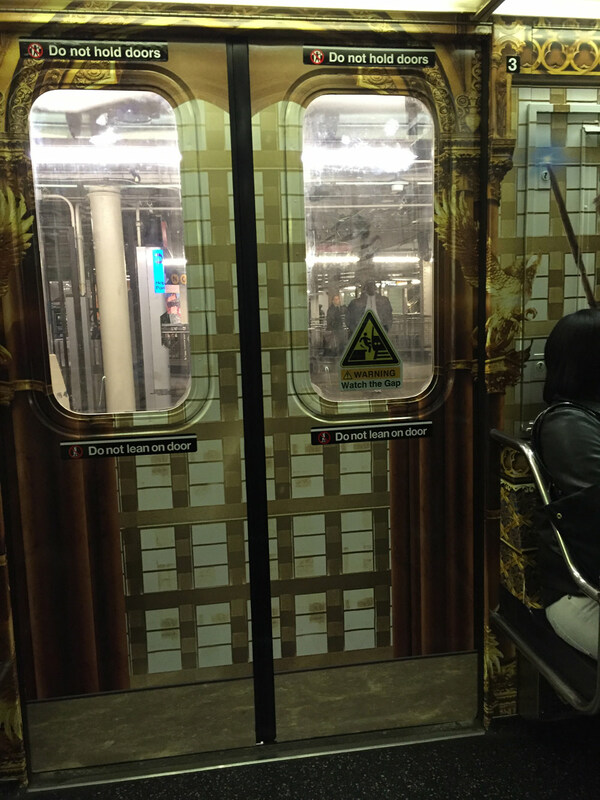 The entire interior of the subway car was covered in beautiful decorative wrap. 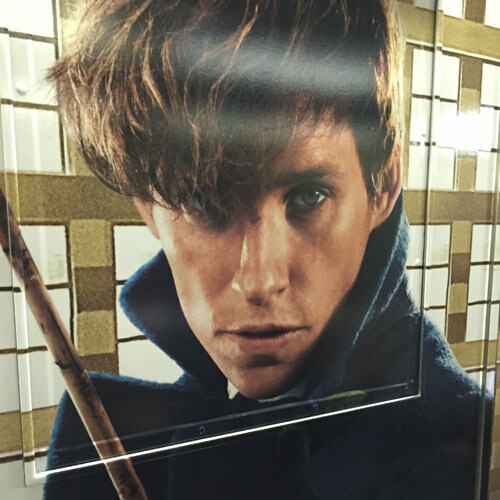 I looked over and Eddie Redmayne was watching me from across the car. 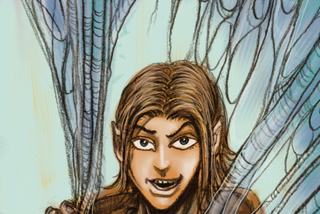 The site was inspirational for my own fantasy story to say the least.